Bethan has just graduated from The University of York with a degree in music. She is currently taking some time to live and work in York before applying to Music College and pursuing a career as a professional Soprano. Bethan currently sings with the University of York Chamber Choir and the Yorkshire Bach Choir (conducted by Peter Seymour), whilst also appearing as soloist for other choirs in Yorkshire and Leicestershire. She has sung, on occasion, with Schola Cantorum of Oxford, most recently taking part in the choir’s tour to France. This Easter she also partook in the St. Endellion Festival in Cornwall, performing works such as Beethoven’s 9th Symphony and Elgar’s Dream of Geronius, under the direction of James Burton and Ryan Wigglesworth. Recent solo engagements include Britten’s Rejoice in the Lamb for Ampleforth and Rydale Concert Choir, performed in Ampleforth Abbey, first soprano in Charpentier’s Te Deum for The University of York Chamber Choir, first soprano for Ampleforth and Rydale Concert Choir’s performance of Vivaldi’s Magnificat and Charpentier’s Messe de Minuit de Noel, ‘The Flute’ solo in Britten’s Hymn for St. Cecelia in Cornwall’s St. Endellion Festival, first soprano for The University of York Chamber Choir for Handel’s Te Deum, and Countesthorpe Festival Chorus’ performance of the Monteverdi Vespers. Bethan has also performed at weddings and other such events. She is also currently preparing for several 2014 engagements, such as soloist for Newtown Linford Choral Society’s performance of Vivaldi’s Gloria and guest singer for the Dalesmen Singers. 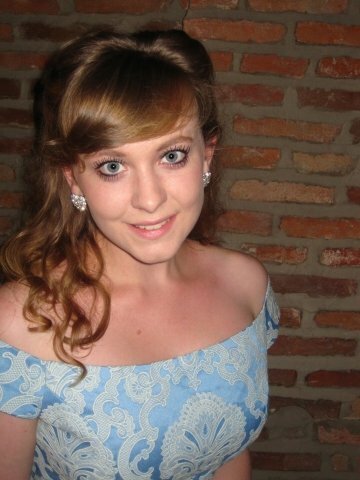 Bethan had two singing pupils in her hometown of Leicester before coming to University. She also worked for the government scheme Sing Up, whereby she went to local primary schools and worked with the school choirs in preparation for their concerts. Having had a break from teaching at University, Bethan is keen to begin again. The lessons are tailored entirely around the pupil's wants/needs. Bethan is happy to tutor those aiming towards grades, and also those simply singing for fun. She is classically trained, but has a secret passion for Musical Theatre and is comfortable teaching in both styles.